With the news of gang activity among students enrolled in a school in our neighborhood, a knee-jerk response is to find a different school. Most comments unfortunately on a community blog for our neighborhood are along this line. Some are even harsher, going as far as blaming the schools for taking so many undocumented immigrants. A year ago, as reported by WTOP, Jay Lanham, director of the Northern Virginia Regional Gang Task Force, also cited the significant number of unaccompanied minors in Northern Virginia, as a factor that gives rise to the number of children vulnerable to gangs. My initial reaction as I related in a previous post is a profound anxiety. But as I pass through the hallway into my office at Georgetown, I am regularly reminded of what an educator should be by this poster on one of my colleague's door: I'M AN UNAFRAID EDUCATOR WITH AND FOR UNDOCUMENTED STUDENTS. 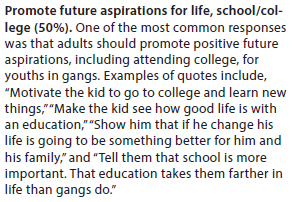 By choosing to send our own children to schools perceived to be free of gang activity, we are segregating our schools. Doing so only promotes a school climate that promotes gang activity as schools we have abandoned can increasingly serve as havens for gangs. Clamoring for advanced academic or separate programs does the same thing as we sort children, especially when such sorting goes along racial or socio-economic lines. 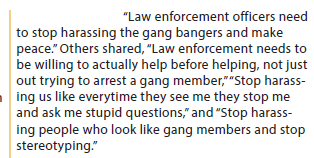 Increased patrolling, law enforcement, and tougher school disciplinary actions can also backfire for one must keep in mind that the youth often join gangs for security, safety, or a sense of belonging. These measures frequently become forms of harassment. There are indeed important things we could learn from the youth. 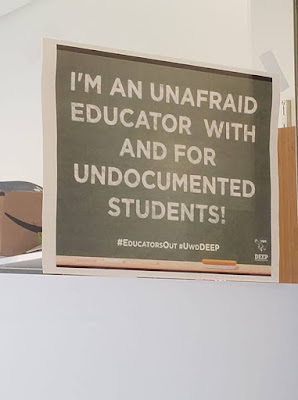 But in all of these, we must not miss the commitment that we have made as educators because therein lies the real solutions to these problems.